Organizing this biography into three distinct parts, Harvard constitutional-law scholar Noah Feldman reexamines James Madison's identity as a Revolutionary thinker, political partisan, and wartime president. This paradox lies at the heart of The Three Lives of James Madison, by Harvard law professor Noah Feldman, who charts Madison’s life as the 'father of the Constitution,' a political partisan, and ultimately a statesman in his roles as secretary of state and president. Throughout his lengthy book, Feldman maps Madison’s evolution from a bookish and idealistic social theorist to a pragmatic political operative who fully recognized the immorality of slavery and the humanity of the enslaved but proceeded, out of the economic interests of his class, to stamp it into the nation’s DNA ...Feldman goes further than many other scholars to insert slaves into the narrative, at times providing their names, circumstances and movements as he assiduously traces Madison’s evolving ideas about the political system he created and the institution that forever stained its legacy ... The Three Lives of James Madison widens the window on the character and outsize vision of Madison and the men who founded America. 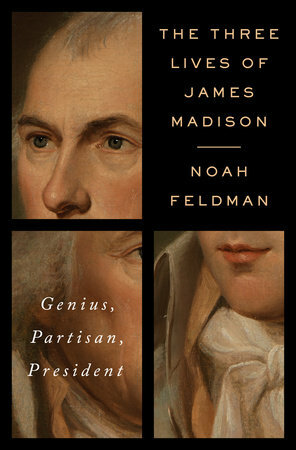 That’s the kind of book one expects upon a first glance at The Three Lives of James Madison: Genius, Partisan, President, by Noah Feldman. 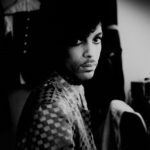 But Feldman, the Felix Frankfurter Professor of Law, at Harvard Law School, has written something else: a palliative for the age of Trump that never names the current President, as told through the political evolution of an important weirdo whose constant recalibrations enabled him, with increasing success, to fight epic battles with his own, founding-era 'haters and losers' ... Feldman is at once subtle and candid about the aptness of his narrative ... But the timely message is actually evergreen: the extreme partisanship that leaves us in varying states of frustration, alarm, and paranoia has always been a condition of the American experiment ... In what Feldman characterizes as the future President’s first life — the 'Genius' part — Madison laid the theoretical groundwork for a constitution for a republic. What did you think of The Three Lives of James Madison: Genius, Partisan, President?